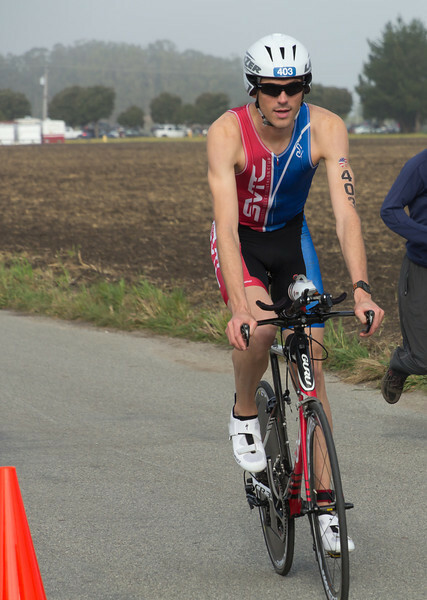 When I originally signed up for the Silicon Valley International Triathlon, it was scheduled to be held in Morgan Hill, just south of San Jose. I thought this would work as a good training day within my build-up in training to my “A” event this year of Ironman 70.3 Hawaii. 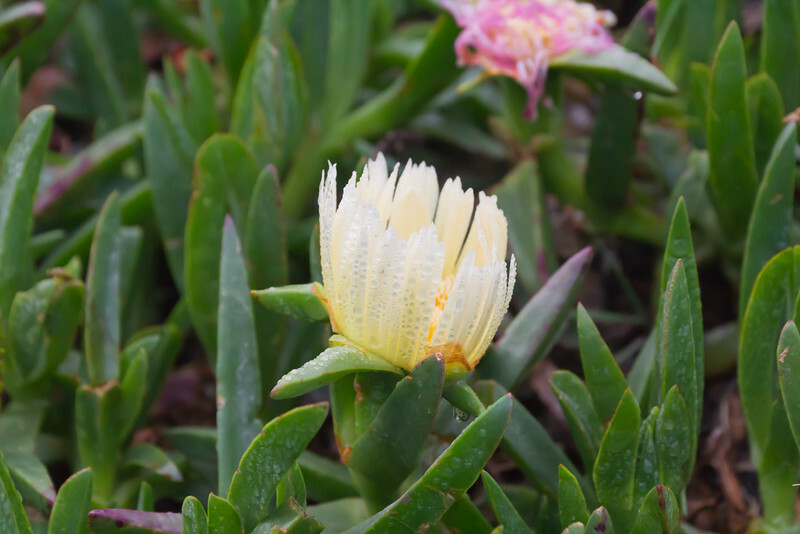 While it definitely was perfect for that perspective, the event location changed to Half Moon Bay along the coast on account of the drought this year. 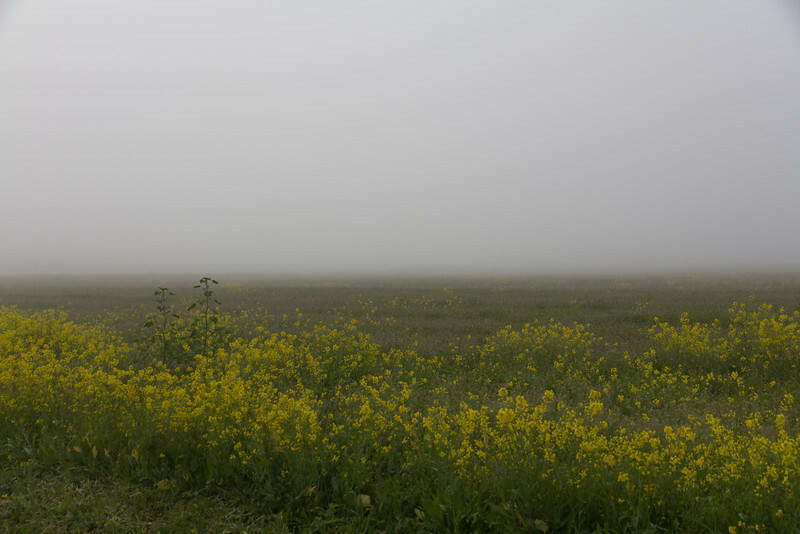 The Morgan Hill version would include a swim in UVAS Reservoir (which is too low to swim in this year). 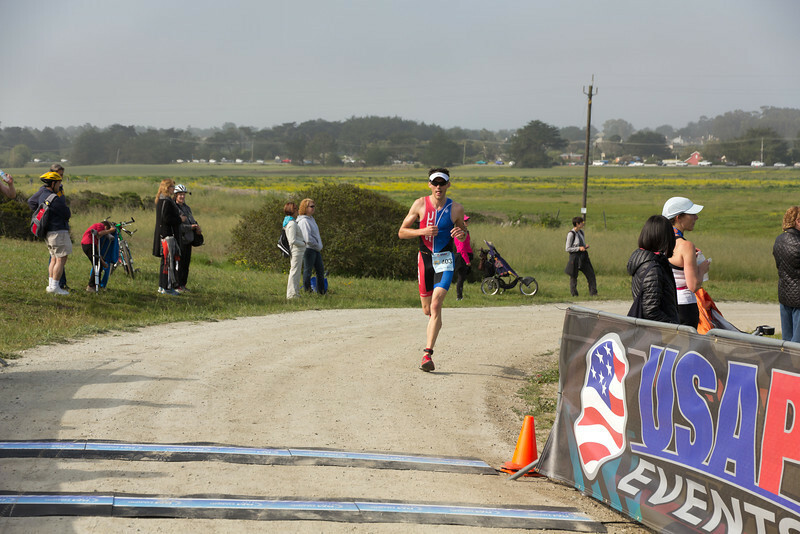 Nevertheless, the race venue was changed to Half Moon Bay. 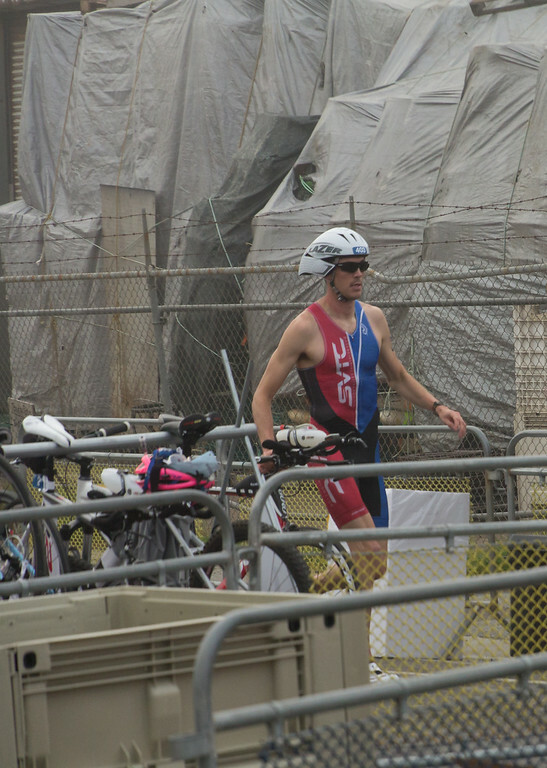 The distance remained the same with the SV International Triathlon being an “Olympic” distance of a 1.5K (0.93M) swim, a 40K (24.85M) bike and a 10K (6.2M) run. 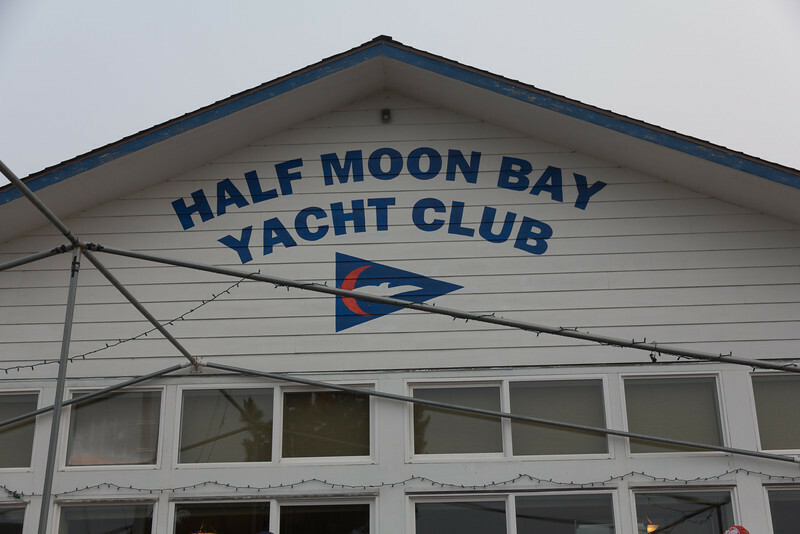 However, in moving to Half Moon Bay the biggest changes were the weather and water temp. To put it bluntly, it was COLD! I do have to give a HUGE props to Ryan from USA Productions (the race director) who found my camera after the race (as Sarah and I had left it while grabbing my stuff) and he contacted me and returned it yesterday! THANK YOU!. Run: 40:50 (6/44 in my age group). My total time on the race was 2:28:55, which put me at (i) 12/44 in my age group finishers (27.3%), (ii) 46/247 (18.6%) out of male finishers in the race and (iii) 49/332 (14.8%) of all finishers in the race. 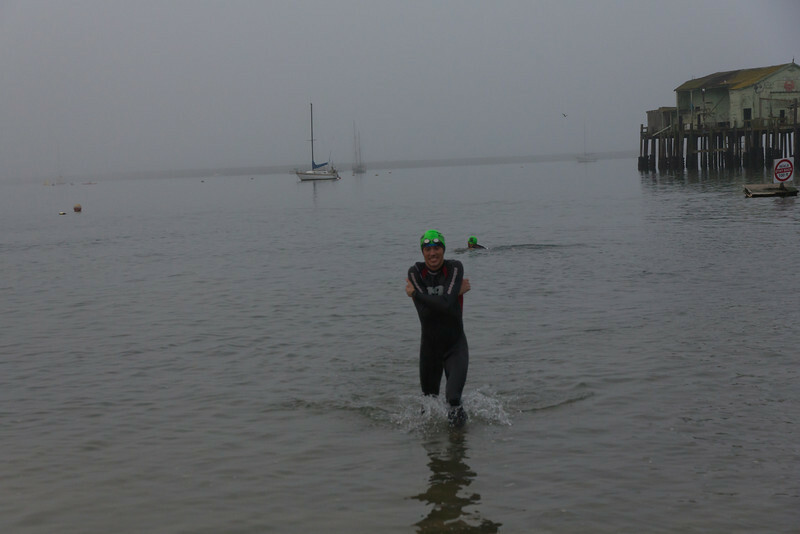 My slow swim and slow transitions (with numb hands!) definitely cost me some time here. 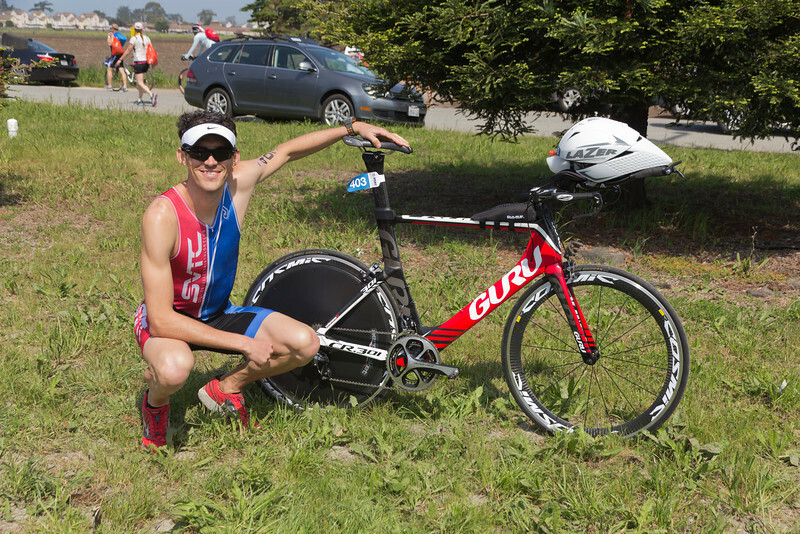 All in all though, I am very pleased with my bike and run and will continue to work hard in training for the longer distances where pacing and nutrition is all the more critical. 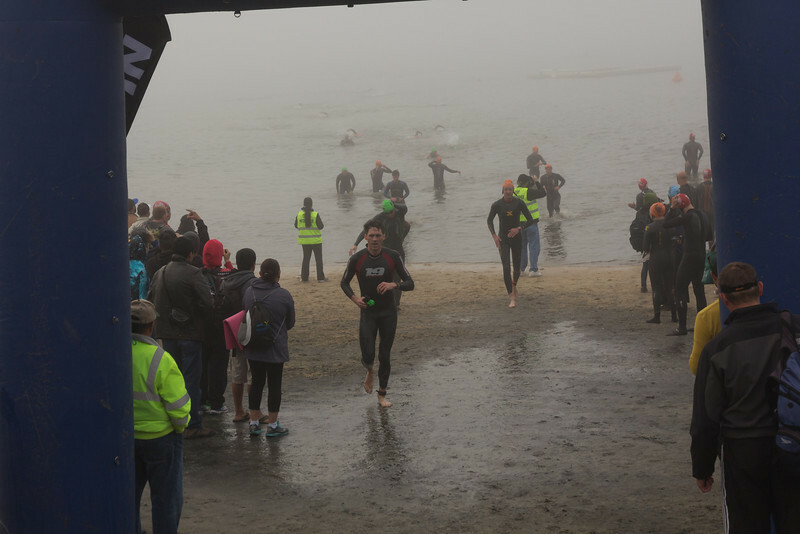 The weather in Half Moon Bay at the start of the race around 7 AM was 53-54 degrees, and the water in the Bay was, wait for it, 53-54 degrees! 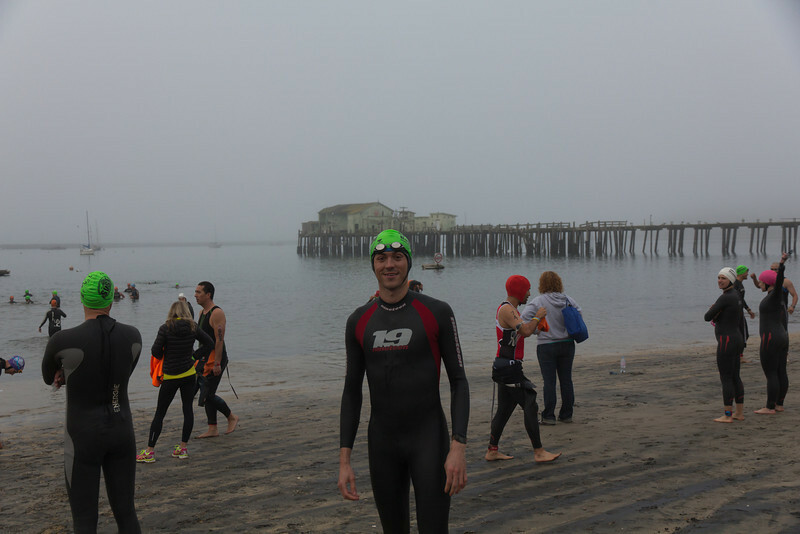 Pacific swimming in April – no thanks! I just can’t handle that kind of water, even with a wetsuit and neoprene cap. Believe it or not, my hands were numb for virtually all of the bike, and my feet stayed numb through 2/3 of the run. 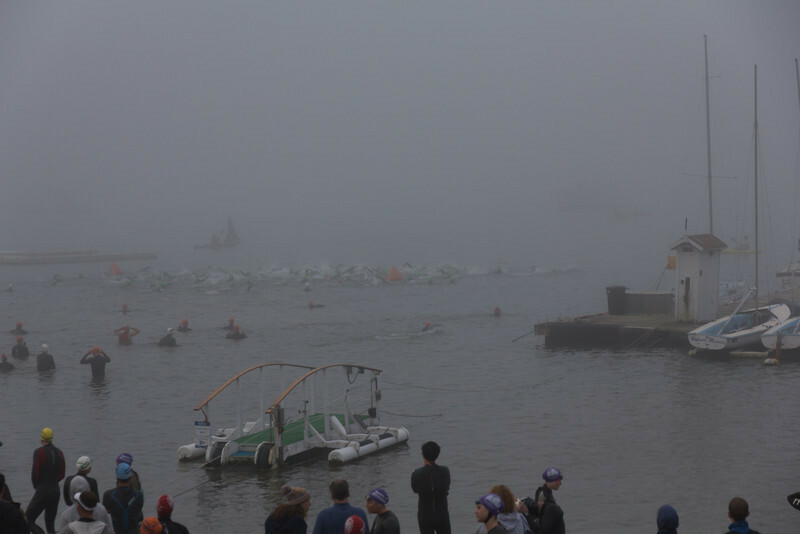 I actually lined up in the middle towards the front thinking I would put in a good swim and started off pretty strong. I was getting off-course a bit and then the cold hit me hard. After about 5 minutes I was breathing much harder than I should and honestly panicked a bit. My hands were numb and I was having trouble controlling my breathing, so I would stop and breaststroke for like 10 seconds to take deep breaths with my head above water. I had to keep doing this every minute or so and was really having trouble getting into a rhythm. It was a bit disappointing as I didn’t think I went out too strong and have really been working hard in my training sessions at the pool. So I just backed off and took it easy to really try and build into a rhythm. 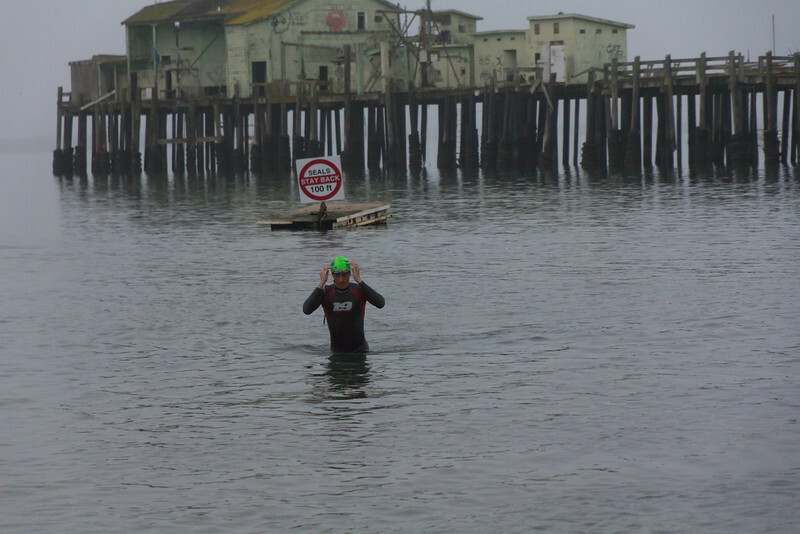 About half way through the swim I finally warmed up in my face (hands and feet were totally numb so that was actually good then) and was able to get into a normal routine. I tried to speed it up delicately, but was worried about over breathing/panicking again so just settled in. 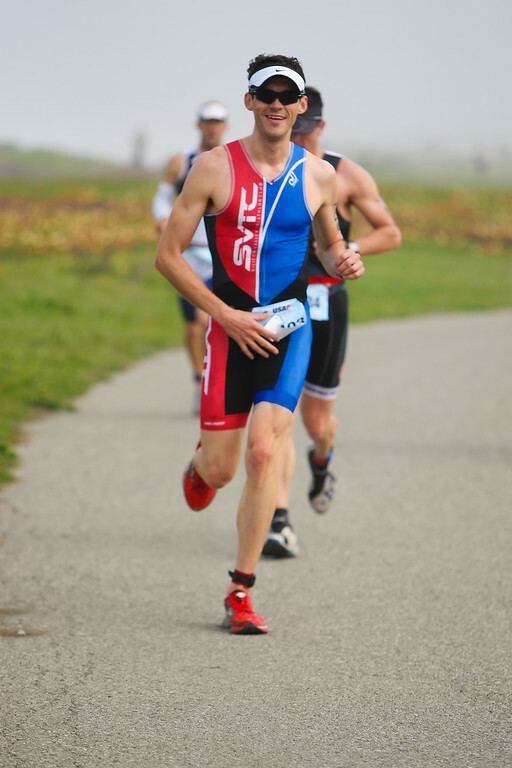 I knew I was behind on the swim, but hoped I could make it up on the run. The path to T1 had carpet, which was nice. It was also organized by assigned racks, which made getting your space very good. The unfortunate thing is my hands were totally numb so I had an extremely long transition time – 4:40! That should be like 2 minutes shorter, easily. I think I spent 1 minute blowing into my hands, and 2 minutes trying to buckle my helmet chin strap. No joke, I literally could not get it closed as my fingers wouldn’t work! Ha! 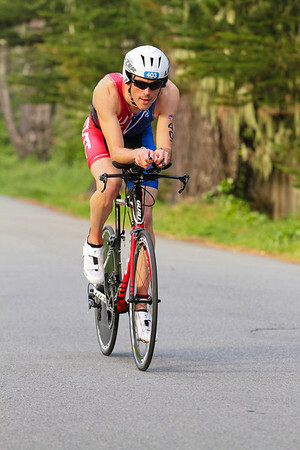 As an aside, this was also my first official race on my new triathlon bike. I have been training on it since last September (and a ton of indoor riding on it on the trainer this winter). Colin at Studio Velo has been working with me on fine-tuning the fit. 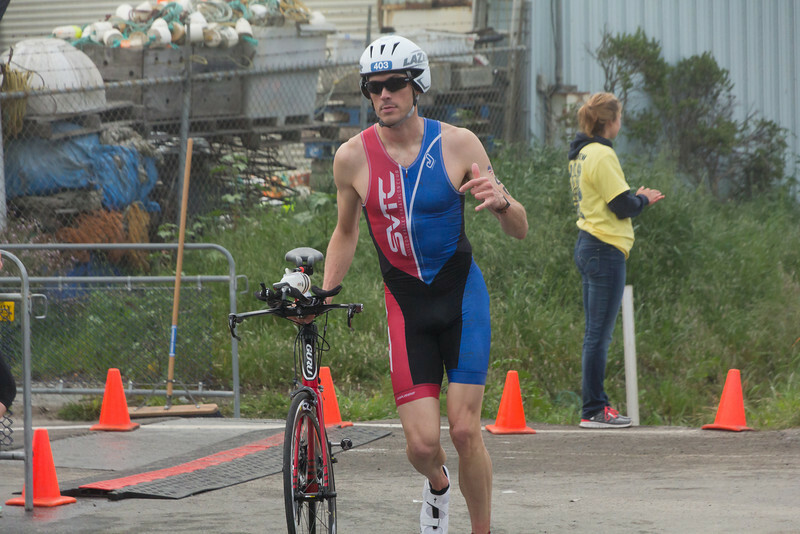 I am likely going to drop the front stem even lower, but want to wait until after Ironman 70.3 Hawaii so I can have some longer-course feedback. All geared up for the race. I threw the disc cover on my rear wheel, but it really didn’t fit my frame that well and it was rubbing against my large rear cog a bit. 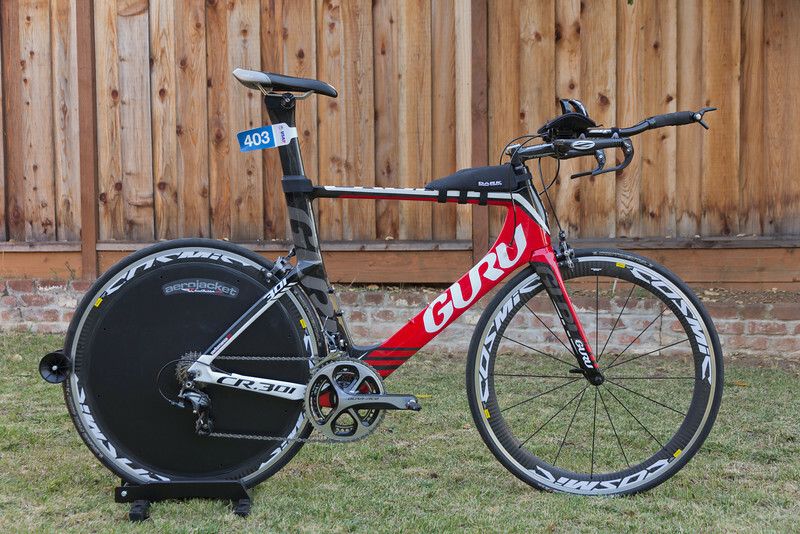 This is just a temporary solution until my actual Flo Disc Wheel hopefully arrives before my next race. Other than that, the bike is fitting great right now. The descent back down into the fog got my hands numb again (and my feet were still numb), though. The only other issue on the bike course is there was a turn that looked correct (and no volunteers), and I followed another participant back to the main road. Fortunately, a number of other participants were coming from the correct direction and yelled out that was the wrong way and to loop back and continue up the road. So I turned around, waited for a car to pass and headed back to the appropriate part. It only added maybe 30-seconds of turnaround time so it was not a big deal, and I was glad to get to complete the extra mile or so of the course. I wonder if anyone else ran into the same issue? Once again, I had a slow transition (2:00) because I was having trouble with my numb hands. It was actually comical at that point, but I felt really good heading into the run. I started out running around 6:30/mile pace and held it there for a bit, but decided to back down to around 7:00/mile pace after a couple of miles (with a strong push back at the end). I think my average pace was around 6:55/mile for the full run leg. All in all, it was a very fun race. There were definitely some logistical issues with the dual transitions and some difficulty on route finding. 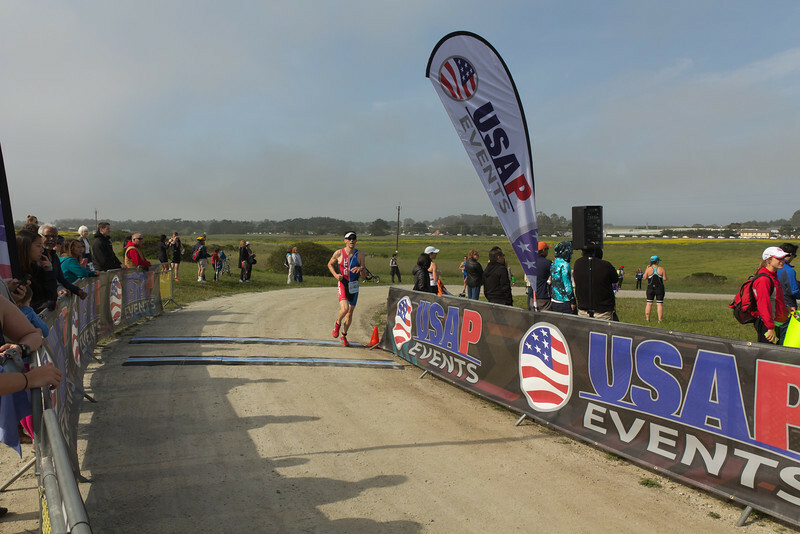 I also heard there were issues in the Sprint distance with volunteers sending runners the wrong way, but ultimately this was a contingency location that they had to move to on account of the drought. Nevertheless, a great day out training.